Grizzly T27791 - Polishing Kit, 5 pc. 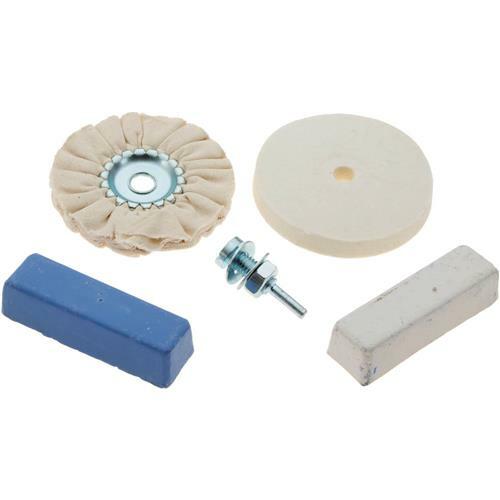 This handy polishing kit includes a V-type buffing wheel with metal center, 1 felt wheel, blue polishing paste, white polishing paste, and a drive arbor with a 1/4" shaft. Wheels are 4" in diameter.